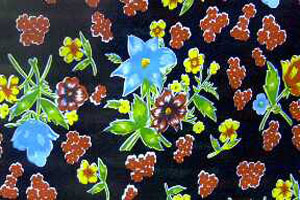 The black background makes the flowers pop right off. I love that this print alligns diagonally unlike many of the other flower prints that are all over the place. The Oilcloth is 47" wide.